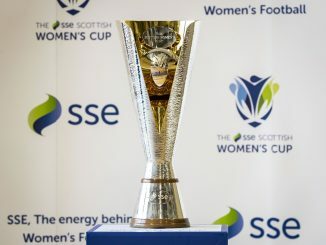 Sunday 8th October brings a SSE Scottish Women’s Cup Semi-Final double-header to Stirling Albion FC’s Forthbank Stadium. First up at noon is SWPL 1 league leaders Glasgow City against underdogs Forfar Farmington, who sit top of SWPL 2. City, back from midweek Champions League action in Kazakhstan, have won the cup six out of the last seven seasons, including a 1-0 victory over Forfar in 2012. Although Forfar currently play a division below the SWPL 1 champions of the last ten years, they are odds on to be competing at the same level next season, requiring only four points from as many games to seal promotion. At 3.30pm, it’s Rangers against holders Hibernian, who beat Glasgow City on penalties in last year’s final. Like City, Hibs were also in action in midweek, coming from behind to beat Celtic 3-1 in a league fixture played at Easter Road. The last time Rangers reached the final was 2010, finishing runners-up after a 2-1 loss to Hibs. The pair still have to meet in SWPL 1 this term and are due to clash twice in five days at the start of November. 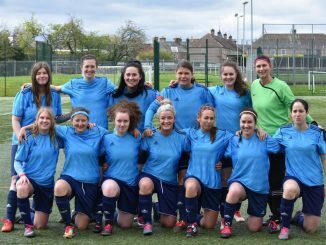 However, they did go head to head in the SWPL Cup quarter-finals in March, when Hibs ran out 5-0 winners. Admission for Sunday’s games is £5 adults and £2 concessions.